If these numbers transfer stateside, then Subaru may have to consider increasing production for next year. Yes, we know there&apos;s been a lot of news this week regarding the Subaru BRZ. While we&apos;re certainly not trying to show any sort of bias towards the car, we still can&apos;t help but be impressed from what these initial reports have been claiming (with the exception of Inside Line&apos;s 0 to 60 mph time of 7.3 seconds). According to a report from Automotive News, Subaru has sold 3,551 BRZs so far in Japan - nearly four times their initial estimate. They originally predicted that about 450 units a month would be a reasonable goal. 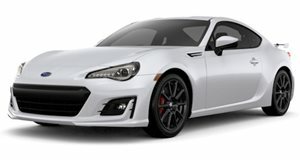 The BRZ went on sale in Japan last February and will go on sale in the U.S. on April 20th. What&apos;s especially interesting is that an incredible 60 percent of the car&apos;s buyers are younger than 40 years old and over 25 percent are under 30. In addition, nearly two thirds of them are choosing the six-speed manual over the six-speed auto. Subaru previously stated they only planned to build 6,000 units for 2013, but judging by some of these numbers, we wouldn&apos;t be shocked to see that number increase dramatically for next year. Photos displayed are of the 2013 Subaru BRZ.